A first-half goal from Sam Hoskins was enough for Northampton to overcome Blackpool 1-0 and record back-to-back wins for only the second time this season. 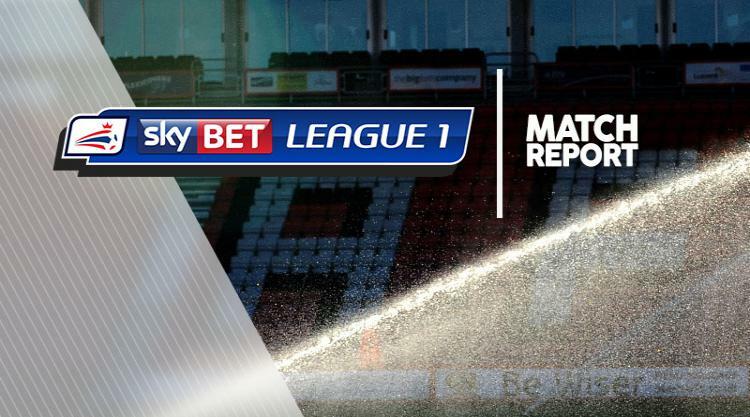 Hoskins' goal came in the 21st minute and proved decisive for the home side who registered their first Sky Bet League One win at Sixfields since September 12. Opportunities came at both ends inside an all-action first 90 seconds as Ryan Allsop beat away a powerful effort from Daniel Powell before Nathan Delfouneso shot into the side-netting after catching out goalkeeper Matt Ingram. Northampton went in front when Hoskins showed quick-thinking and nifty footwork to direct Matt Grimes' miscued shot into the bottom corner, leaving Allsop wrong-footed. Blackpool dominated possession for the rest of the first half but struggled to do much with it until 10 minutes into the second when Callum Cooke's curling shot was headed off the line by Aaron Pierre. Hoskins spurned a glaring chance to put the game to bed late on as he missed the target from 12 yards but it mattered not as Northampton comfortably and deservedly held on.